In order to protect the rights and interests of customers, and promote your shopping experience, we promise that every product will be screened strictly and checked carefully. –Please screw the spring clockwise, please don’t overtighten. –Please don’t play on the road or humid areas. –Please don’t play it if the products were broken to avoid injury. 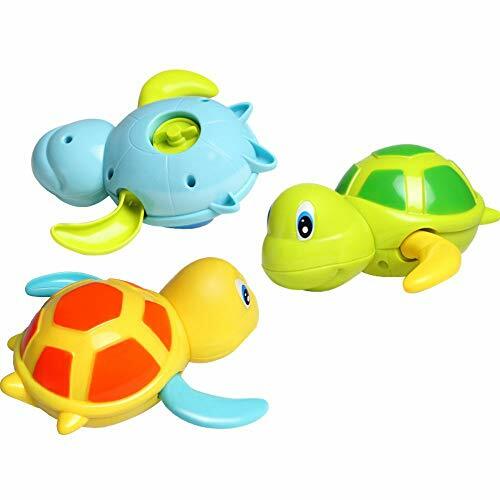 –Please make sure that your babies are playing these bath toys under adult supervision. –Children under 3 years old should play under adult supervision.CUTE & FUN. The lovely look and bright color will easy to drew your kids’ attention. 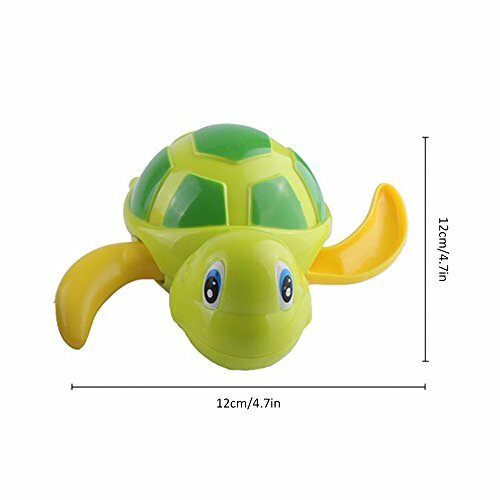 Not only could the turtle bath toy swim in the water, but also walk on the floor. 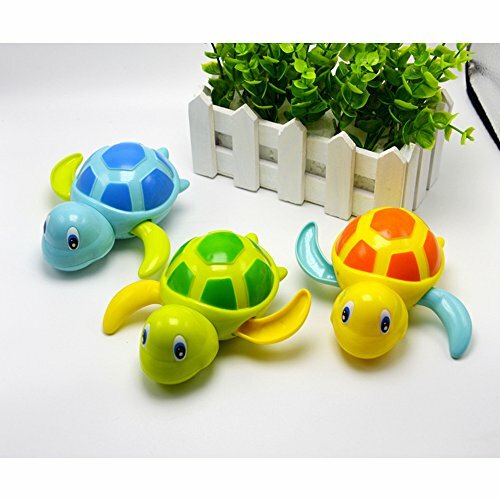 These cute turtle bath toys will give your kids more funny. ADVANTAGES. 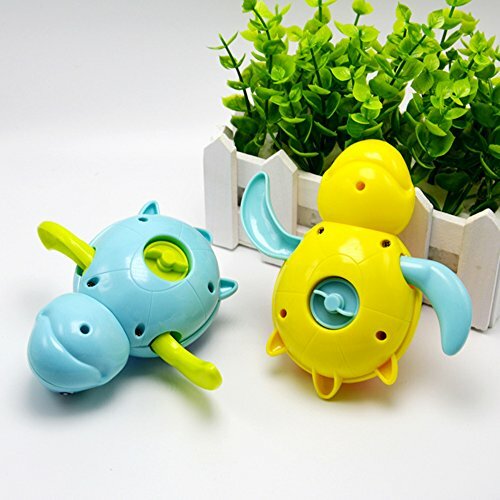 Enhance the athletic ability of your babies by playing with these wind up bath toys. And your babies will fall in love with taking a bath. LOVELY DESIGN. 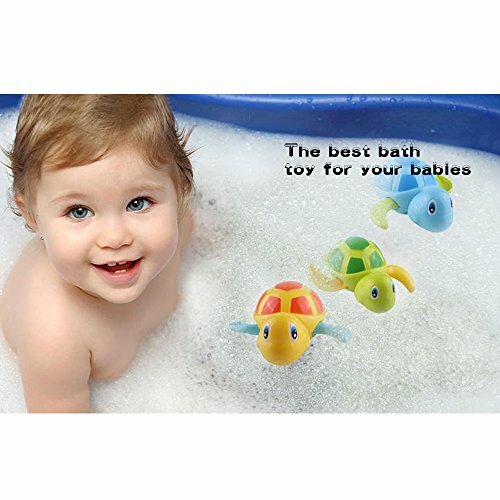 These baby bath toys have cute looks and proper size for littles hand and tiny fingers. The spring is on the bottom of the small turtles. 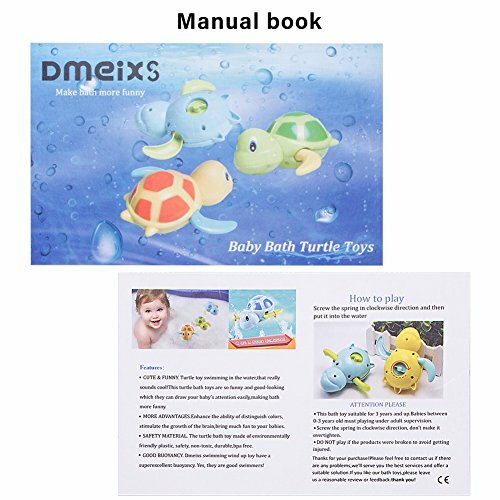 SAFE MATERIAL.Dmeixs bathtub toys made of environmentally friendly plastic, safety, non-toxic, durable and without color fading. GOOD BUOYANCY. 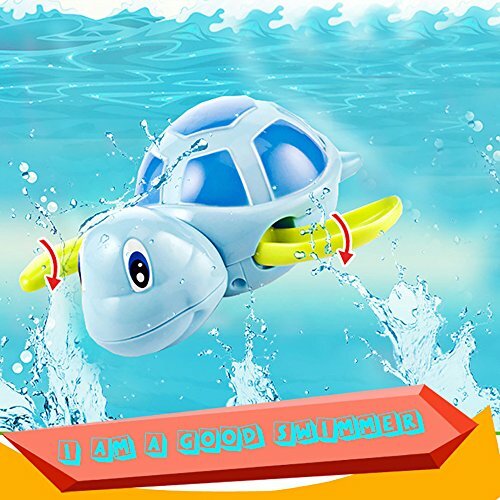 The best swimming wind up toy have a superexcellent buoyancy. Yes, we are good swimmers!